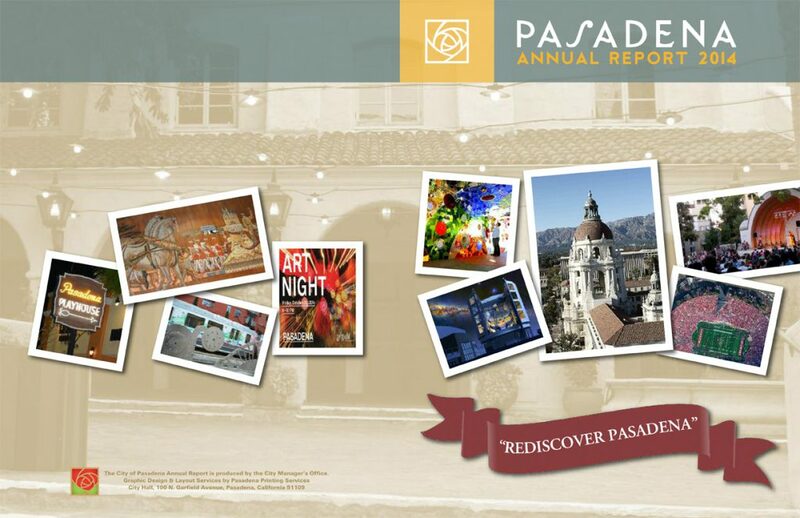 The City of Pasadena experienced many positive accomplishments during the past year and the Annual Report is our opportunity to highlight those achievements. However, it became apparent that 2014 also would be remembered for the discovery that Pasadena was the victim of a long-term embezzlement scheme allegedly perpetuated by a former City employee. It is very unfortunate that the misappropriation of up to $6.4 million will overshadow the success and progress achieved by nearly 2,000 honest, hardworking City employees in 2014. The City has posted the results of a forensic audit and many other documents regarding the theft online at www.cityofpasadena.net/invoiceinvestigation, and we will provide more information when available. The City is working with the appropriate authorities to ensure those responsible are held accountable for all criminal acts. We are taking corrective actions identified in the audit and we will hold employees accountable who failed in their responsibilities to follow our policies and safeguard public funds. shortcomings that enabled this theft to occur and, in the process, we will become stronger and earn back the public’s trust. Our 140,000 residents and the thousands of businesses who call Pasadena home are who we work for, each and every day. I am proud to say that your City employees work hard to maintain and improve many of the programs and services we offer to ensure a high quality of life and to make certain that Pasadena is one of the best cities in the nation to live, work, learn, and enjoy. Thanks to the City Council’s leadership and the determination of our employees, the benefits of some very difficult decisions during the past six years have resulted in healthier overall finances. The City ended Fiscal Year 2014 with a small, but positive, balance for the second consecutive year and we expect to end the current fiscal year on a similar note that will allow us to continue rebuilding the fiscal reserves that served the City so well in the past. The Council’s foresight to invest in capital improvements and key infrastructure projects is now helping to fuel a rebounding local economy. Private sector investors, developers and real estate partnerships are creating new hotels, restaurants, retail shops, residential projects and commercial buildings that are either under construction now or preparing to begin in 2015. The City continues to move forward with more investments in infrastructure, including our streets and bridges, parks, community centers, the Rose Bowl Stadium, the Civic Auditorium-Convention Center and the Glenarm Power Facility. local and regional public transportation to experience the special events and support our local restaurants and shops. In 2014, the newly renovated Rose Bowl Stadium–gleaming like a diamond under the international media spotlight for the 100th Rose Bowl Game and the final BCS Championship Game — hosted more special events than in recent years, including highly successful concerts by award-winning recording artists. While such events generate important income and bolster our economy, in 2015 we must better balance the revenue demands for the Rose Bowl with the impacts on the surrounding neighborhoods. In 2015, the City looks forward to continuing its partnerships with key community members — including the Pasadena Unified School District, Pasadena City College and our extensive network of non-profit organizations — to enrich our lives, enhance learning opportunities and improve our neighborhoods. We will endeavor to work with our private sector business leaders, the Pasadena Chamber of Commerce, the Bob Hope Airport Authority, Innovate Pasadena, the hospitality industry and many others to attract more high-tech investments, jobs and economic opportunities. ensure the City’s quality of life is among the best in the country and all City employees work every day with honesty and integrity to keep the faith and confidence of the public. The last few months of 2014 have reminded us that we still have work to do to ensure Pasadena is, in fact, a model municipal organization. I am confident this goal will be achieved. In that spirit, it is my honor to submit Pasadena’s Annual Report for 2014 to the Mayor, the City Council, our City Employees and to our residents, businesses and community stakeholders.